NEW YORK, March 12. /TASS/. 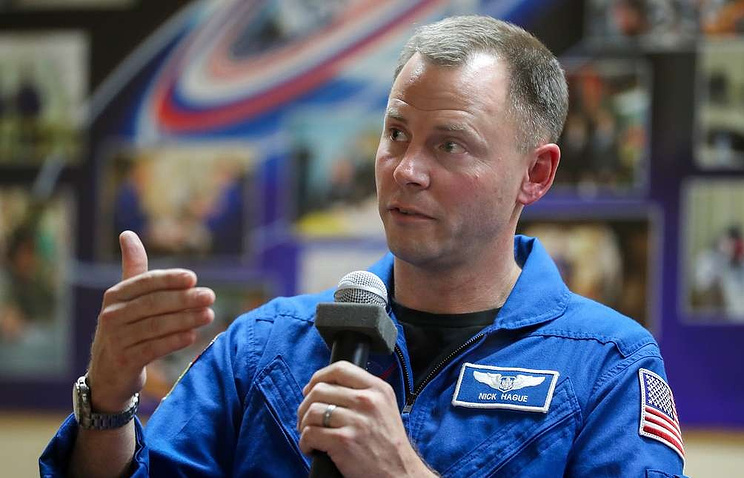 NASA astronaut Nick Hague on Tuesday described as a “technical marvel” a Soyuz-FG carrier rocket which is to put the Soyuz MS-12 manned spacecraft into the orbit on March 14. “The production director told us it will be the 1901st launch of a Soyuz rocket. 40 tons of well designed hardware, and 270 tons of propellant, it’s an engineering marvel!” the US astronaut wrote on his Twitter page. The departure of ISS Expedition 59/60 crew members – Russian cosmonaut Alexey Ovchinin and NASA astronauts Nick Hague and Christina Koch – was initially scheduled for October 2018. However, the mission was foiled by the abortive launch of the Soyuz-FG carrier rocket on October 11. Currently, Russian cosmonaut Oleg Kononenko, NASA astronaut Anne McClain and astronaut of the Canadian Space Agency David Saint-Jacques are working aboard the world’s sole orbiter. Hey Buddy!, I found this information for you: "NASA astronaut Nick Hague calls Russiaâ€™s Soyuz rocket â€˜technical marvelâ€™". Here is the website link: https://russophile.org/nasa-astronaut-nick-hague-calls-russiaaes-soyuz-rocket-ae%cb%9ctechnical-marvelae/. Thank you.